Cold working is the most common way to form aluminum 1100. A cold metalworking process is any metal shaping or forming process that takes place at or near room temperature. Cold working is distinct from hot working, which involves the use of heat to reduce a metal’s resistance to physical deformation. A drawback to hot working processes is that sufficiently heating a metal can make it susceptible to corrosion. Also, heat can change the physical properties of a metal in undesirable ways. Aluminum is particularly sensitive to heat, and it can be difficult to predict the behavior of heated aluminum. 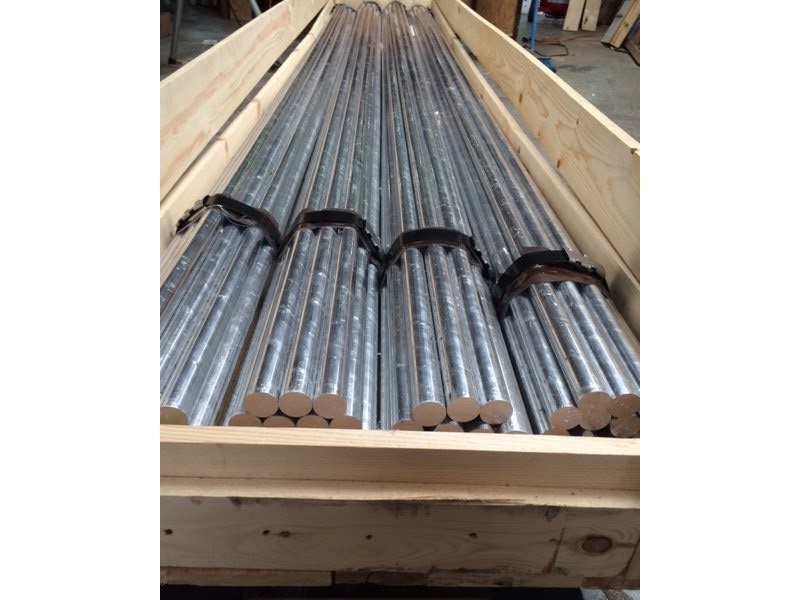 For these and other reasons, aluminum alloys, 1100 in particular, are often cold worked. Aluminum 1100 can be shaped into many different products, including aluminum plates, chemical equipment, railroad tank cars, fin stock, dials, name plates, cooking utensils, rivets, reflectors and sheet metal. The plumbing and lighting industries also use aluminum 1100, as do a wide variety of other industries. Aluminum 1100 is among the softest aluminum alloys and therefore is not used for high-strength or high-pressure applications. Though it is usually cold worked, pure aluminum can be hot worked as well, and in such cases it is forged anywhere from 700°F to 950°F. More frequently, though, aluminum is shaped by spinning, stamping and drawing processes, none of which require the use of high heat. These processes produce aluminum shapes in the form of foil, plates, round bars, sheets, strips, wire and many other shapes. Aluminum 1100 can also be welded; resistance welding is possible, but it can be difficult and usually requires the attention of skilled welders. Aluminum 1100 is just one of many common aluminum alloys. Aluminum 7075 is one of the strongest alloys and is used in architectural applications as well as in the construction of industrial process equipment and heavy machinery. 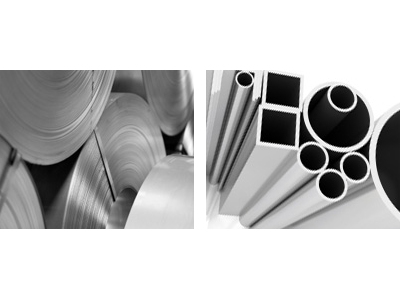 6061 aluminum is a general purpose alloy that is valued for its versatility. Aluminum 1100 Aluminum 1100 is soft, low strength and, at 99% aluminum composition, is among the purest aluminum alloys. Copper, iron, magnesium, manganese, silicon, titanium, vanadium and zinc comprise the remaining 1%. It cannot be hardened by heat treatment but is very wieldable and formable.